Do You Pay a Real Estate Agent If You Are the Buyer? Several real estate buyers and sellers do not really understand just who pays the real estate agent who is actively involved in the business. To understand who actually pays real estate commissions, whether it is sellers or buyers or both we need to first take a look at how real estate agents are paid and how they share cooperating commissions. Do not worry if you do not know how commissions work because there are a lot of people out there who don’t know, it involves a bit of complication, commission splits and other details that may not be disclosed during the transaction. Real estate agents work for a real estate broker. All the fees which is paid to a real estate agent must first pass through the broker. Only a real estate broker can actually pay a real estate commission as well as sign a listing agreement with a seller. How Are Real Estate Agents Compensated by the Broker? Commission divisions may vary. New agents can be given as little as 30% to 40% of the total commission which is received by the brokerage. From this amount, other fees might be deducted for example advertising, sign rentals and/or office expenses. Top producing agents may receive 100% and pay the broker a desk fee. Everyone else falls somewhere in between. The most common kind of listing agreement between a seller and her agent offers that agent's broker the right to solely market the home. In turn for bringing a buyer to the table, the seller decides to pay a commission to the broker. Usually, this fee is represented as the percentage of the sales price and is shared between the listing brokers along with the broker who brings in the buyer. Divisions of fees amongst brokers are not always just or equal. For instance, a seller might sign a listing agreement for seven apples that specifies the listing broker will receive four apples and will co-broker three apples to the selling broker. It is not always a 50/50 split. In a purchaser's market, sellers may want to consider asking the broker to give a greater percentage to the buyer's broker. In a seller's market, the buyer's broker may receive less, and no specific formula exists. Most divisions of the commission are locally based. In some parts of the country, it is extremely common for any listing agent to make more money than the buyer's agent. It is very important to ask about the local custom. The problem with co-brokerage fees is not essentially whether to pay more to the buyer's agent than it is to make sure buyer's agents are not paid less than the local custom. 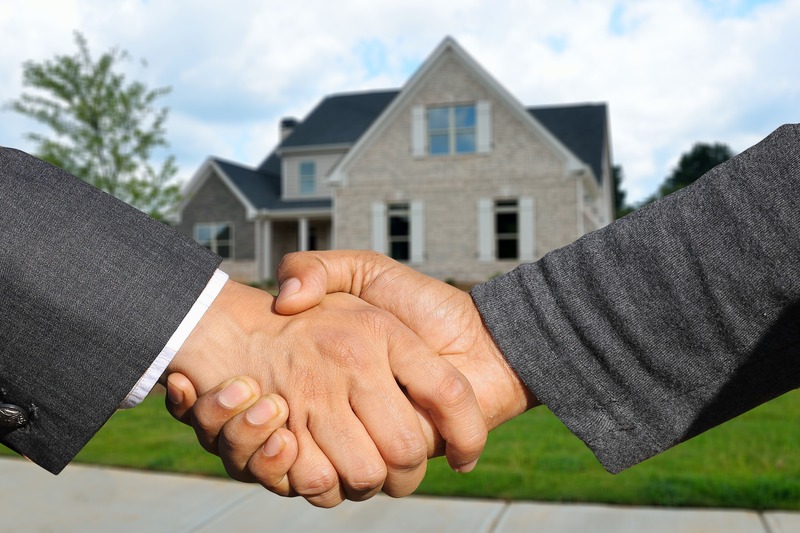 Under a Buyer's Broker agreement, the named brokerage as well as the agent represent the buyer. The fee paid to the broker is usually paid by the seller. Some buyer broker agreements comprise of clauses that will recompense the brokerage for the fee it is due less the aggregate paid by the vender. For instance, a cooperating listing may offer to pay a broker a smaller portion of the sales price, while the brokerage operates at fees that are a greater percentage. The difference of, say, half an apple, could be paid by the buyer if the broker chooses not to waive that amount. The seller is not indebted, under most listing agreements, to recompense the listing broker for more than the listing side's percentage of the commission. Often sales prices are reduced to mirror the amount the buyer is paying. Sellers can also credit the buyer the commission and the buyer, sequentially, credits the brokerage. Who Really Pays the Real Estate Commission? It can be argued and, rightfully so, that the purchaser always pays the commission. Why? Because it is usually part of the sales price. If the vender did not sign a contract to pay the commission, the sales price may have been lowered. And there lies the appeal of buying homes through disenfranchised sellers since, given the same logic, those prices should echo a net sales price without a commission. Except they do not. Which causes possible disappointment for purchasers who think that way. All real estate commissions are accessible but not every agent is going to negotiate. It is thought to be insulting to call an agent to list your home and ask if the agent is going to discount her commission in the first breath. Agents cannot be exclusively judged based on commissions. They are not all the same, like a commodity. Top agents every so often charge more than newer agents. If you are a purchaser, you do not openly pay the commission so a discount would not actually affect a purchaser. There are some agencies who offer to pay purchasers to lure their business, but that kind of business practice is thought of as an odd concept amongst several different agents. To help improve much of this confusion, do not be astonished if over the next twenty years sellers as well as buyers each retain their own representation and pay independently for the said representation. In numerous cases, agents are seeing a decrease in the amount of commission which is being paid to buyer's agents. The commission is not split 50/50 between listing and selling agents. Various listing agents make more than the buyer's agents. And today, that amount has been reduced even further, perhaps because some listing agents will markdown so low that they do not have enough money to pay what other agents have to offer.